Patti Smith Photos - New York, N.Y.
Patti Smith and her band closed 2011 with her 14th New Year’s Eve show at The Bowery Ballroom. She told the sold out crowd this would be her last New Years Eve show, ending her 14-year run that also included shows on her Dec. 30 birthday. 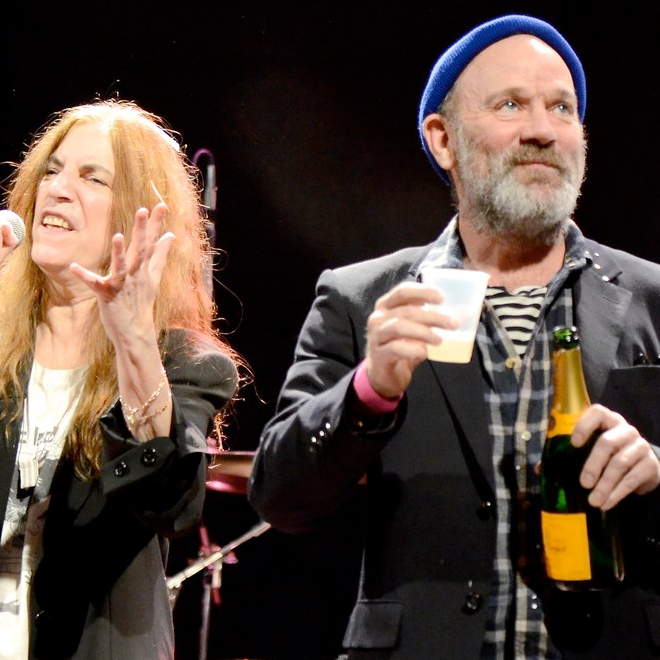 Joining Patti on stage to celebrate 2012 was Michael Stipe, who later that night covered “Wichita Lineman”—a Jimmy Webb song. Check out Perry Julien’s photos from the NYE show in New York, N.Y. below.